I entered the CHI fellowship program without a real sense of what my cultural heritage informatics project would look like. I knew that I wanted to to be useful, and I figured it would be a best if I could connect the project to my imminent dissertation. But beyond that, I had nothing. To tell the truth, I wasn’t even sure that I fully understood what a cultural heritage informatics project should do. This is to say that the project described below developed alongside the meetings and discussions we had with the CHI program. I found it particularly generative to learn about the projects that the other fellows were working on. In listening to Katy, Micalee, and Jen talk through their projects, I was interested in the ways their projects employed technological tools to deal with issues of access, as well as to organize information. Last week I made my first attempt at installing Omeka onto a server – my first step towards creating my Sixteen Tons project. Let’s just say I’m still in the process of completing this first step, but I am happy to have been given the opportunity to try a task that I would have never even attempted before becoming a CHI fellow. At times, I feel like the digital underdog, frantically Googling things like, “what does RT mean on Twitter?” (it means Re-Tweet!). But I am most likely not an exception to the wide array of professional historians out there. As I discussed in a previous post, the Bone Collective is the project that I will be working on as a Cultural Heritage Informatics (CHI) fellow. Currently, the Bone Collective project is in its initial development stage. 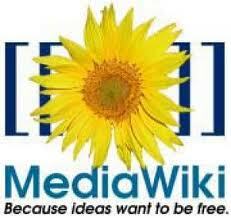 This means that I am primarily learning to use the Mediawiki platform. Last week, I set up Mediawiki on our server- a task that took a surprisingly long amount of time but that was completely satisfying in the nerdiest way. There are a couple of lessons that I learned from this task. My initial reaction to the challenge of installing Mediawiki onto a server was that this task was way beyond my tech skills.